This picture is from my crazy relatives in Charlotte, North Carolina. They started this tradition a couple of years ago, but this year they used this photo on a Happy New Year card. So did you guess it???? Yes, I used the Grizzly Bear from the Camping Release and turned him into a Polar Bear. I don't know about you, but I think he makes a great looking polar bear, too. Now I can use this die all year round! Cute Layout!!!! 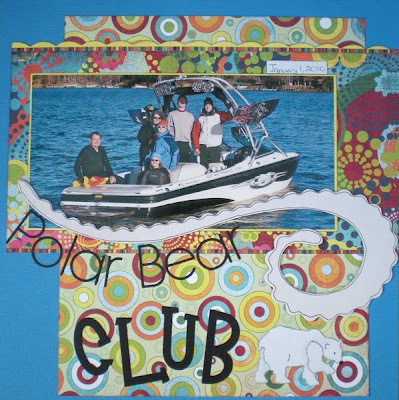 What a wonderful idea to make the Grizzly Bear into a Polar Bear! Love it!!! Really great layout! I love the bear! TFS! 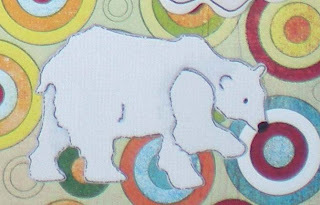 I love your colors and swoopy design Ruth Ellen and of course the "polar" bear is the perfect touch!